The new Fortune Factory Studios brand, an independent game studio working exclusively with Microgaming, is set to launch their first official game on October 24th. Romanov Riches will be live in just a few short days, offering players a unique gemstone style game. 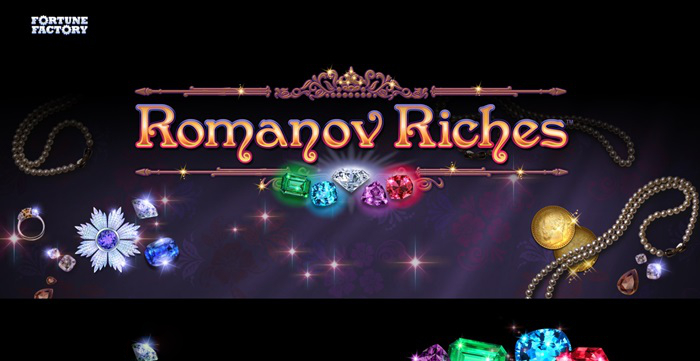 The new Romanov Riches online slot game includes several features such as Mystery Symbols, Re-Spins and three Wheel Bonus Features. On each reel, players can find large stacks of Mystery Symbols that change to a single symbol with every spin. Full stacks that match will lock and provide players with re-spins. Additional stacks will then retrigger the feature when all the Mystery Symbols match the locked stacks. Stacks of bonus symbols will start one of three credit wheel features along with a top prize of 1000x the wager. The new video slot game can be played on tablet, mobile or desktop device. The screen can be oriented in landscape and portrait mode for stylized gaming. The Return to Player percentage is a nice 96.075% with medium volatility. Spin the reels and watch as various types of gems appear as well as the symbols for 10, Jack, Queen, King and Ace. Find multiple symbols on the reels and activate re-spins as the mystery spins are triggered. Activate the Wheel Bonus round and watch as a huge spinning wheel takes over the reels. 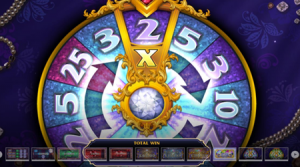 The wheel will spin and offer you a multiplied prize based on your wager. 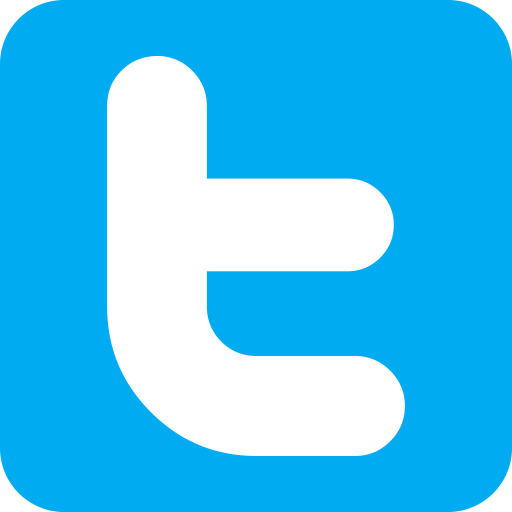 The more you bet, the more you win! The new game is set to launch on October 24th, ready to provide players with a quality online slot gaming experience, full of re-spins and bonus wins!